Nyamah Dunbar, the founder and business concept developer of SANKOFA Agribusiness, based in Liberia, West Africa, has a decade’s worth of highly technical and managerial experiences working in numerous countries in sub-Saharan Africa. Her experiences over the course of her development career in the non-profit sector have expanded opportunities of networking and building partnerships with both private, and public sector agencies. 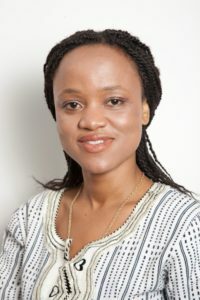 She has served as the Senior Program Manager for an African focused health initiative with a $75 million U.S Dollars campaign through the United Methodist Relief and Development Agency, UMCOR. She directly managed a program with a healthcare budget for malaria work in Africa that exceeded $4 million U.S. Dollars annually. She has provided technical guidance for program development and management of staff and programs in 10 countries across Africa, including two successful national malaria program campaigns in Sierra Leone that exceeded $5 million US dollars and several campaigns across the Democratic Republic of Congo; the latter which resulted in a significant grant award from the Global Fund for AIDS, TB, and Malaria. In 2014, Ms. Dunbar took on a new challenge of expanding on her passion for development by delving into a new sector and building her own agribusiness in her native Liberia. These combined experiences make her duly primed and qualified to fulfill the role of member of the Board of Directors for Healthy Women Healthy Liberia. She is well adept in the necessary skills and challenges that navigating the global health and development field requires, bringing on the expertise from her professionalism and networks with global organizations from western and southern countries. Ms. Dunbar has an International Master’s of Management degree from The Kedge Business School (formerly Euromed Management) in Marseille, France, and a B.A in English and French from Stetson University, Florida. She is a returned Peace Corps volunteer who served in Benin, West Africa.